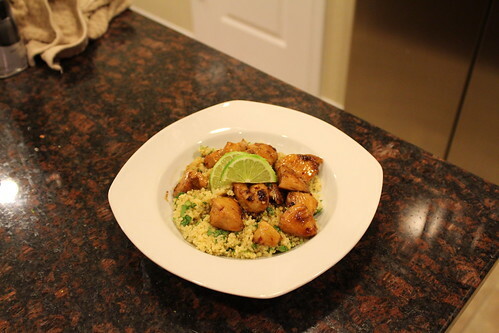 I had kind of forgotten about the awesomeness of couscous until this recipe popped up on my Pinterest. I don't normally cook much with lime either, so this recipe was a bit out of the box for us, but we loved it! It came out perfectly, and the lime mixed with the flavor of the cilantro and chili pepper flakes was really just lovely! Directions: 1. 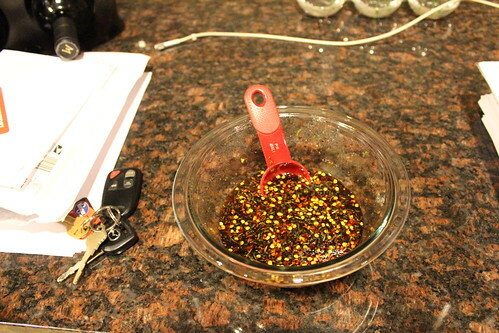 In a small bowl, mix soy sauce, sugar chili pepper flakes, lime juice, and lime zest. Stir until sugar is dissolved. 2. Heat a skillet over medium-high heat. 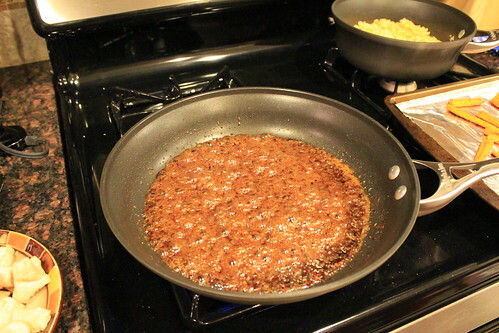 Pour the soy sauce mixture into the skillet and bring to a boil. Cook for 3-4 minutes, until sauce begins to reduce. 3. 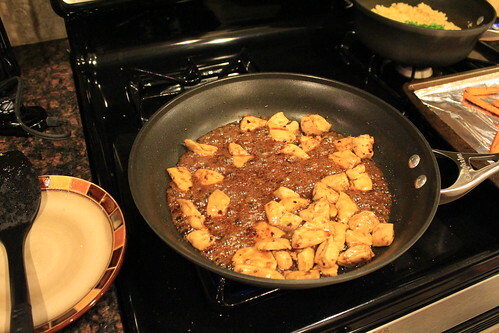 Stir in cooked chicken and simmer for 3 more minutes. 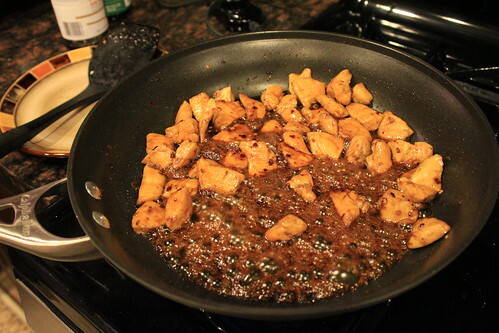 Stir often to glaze chicken. Directions: Bring vegetable broth to a boil in a saucepan. 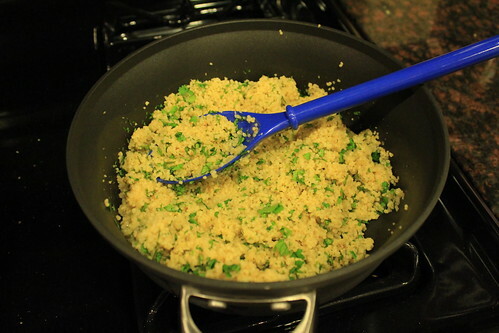 Stir in couscous and turn off heat. 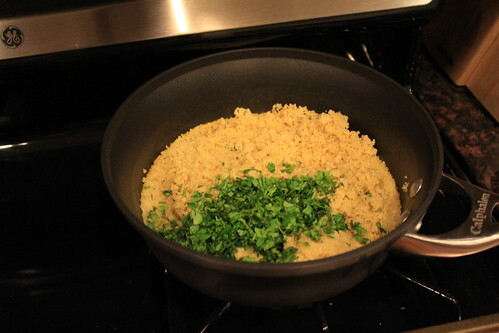 Let sit for 5-6 minutes, or until couscous has absorbed the broth. Stir in chopped cilantro. 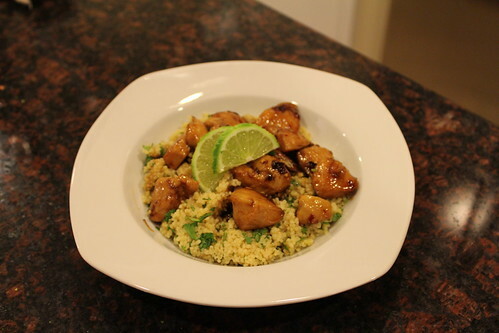 Serve chicken over cilantro couscous with extra cilantro and lime wedges as a garnish! Good luck during crunch time!! I know you'll do great and it will be such a relief to have the exam behind you. P.S. I tried your roasted red potatoes and baked coconut shrimp. Both big hits here!